If reports out of Korea are correct that may well come in a new colour, with a pink coloured iPhone 6S said to be in the works. That doesn’t seem to have much behind it as rumours go but it was said to come from a Foxconn employee. That story also pointed to possible upgrades in the Apple Watch screen, to address some issues with being able to see the screen in direct sunlight. Apple are also claimed to be looking at thinning components to allow for a larger battery, rather than reducing weight. For those that thought the iPod was dead and it was just a matter of time until Apple quietly dropped it, think again. 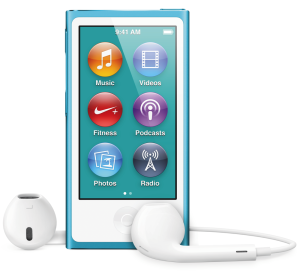 iTunes 12.2 contains images of the iPod range in some new colours suggesting that a new refresh of the line-up is planned. Finally, since I am playing a bit of catch up here, the full trailer of the upcoming ‘Steve Jobs’ movie has been posted. You can catch it below and make sure you let us know what you think.